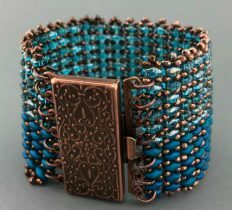 This wide duo cuff feels great on your wrist! 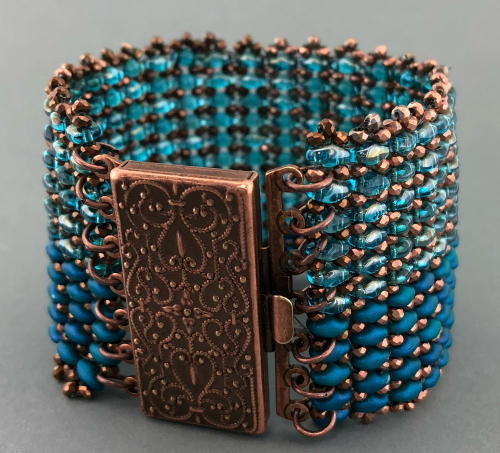 With this unique book clasp it makes an eye catching cuff. 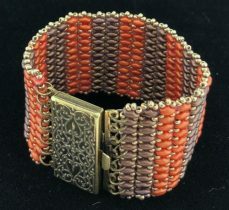 Endless color combos to choose from, you will want to make more!